There are many things in life that are CERTAIN. While Death and Taxes are two of them, there is true value in filing taxes! 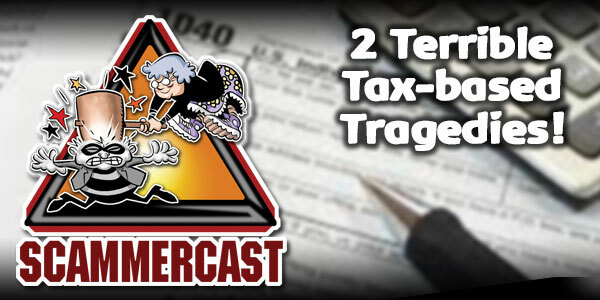 To do so effectively, there are “2 Terrible Tax-based Tragedies” that you must learn about and remember! Get educated on how the Scammers are out to rip you off via the avenue of PAYING TAXES! Join Elder Attorney Curtis Bailey, License Clinical Social Worker & Author Art Maines, and guest-host and Attorney and manager from Midwest Trust Marti Gurley as they provide you the details, tools and knowledge to help you “Hammer the Scammers” on this episode of The ScammerCast!